No paint to maintain; all Stainless Steel or Aluminum. William R. Hettrick of Hamilton, MT developed this method of extracting in the mid-1960’s. Cook & Beals, Inc. purchased the rights to manufacture and distribute this style Extractor on December 18, 1972. Since then, we have continually endeavored to improve and automate this system. The Auto-Load Extractor drum holds 128 combs of any depth (exact number will vary if end bar is over 1 3/8″ in width). This machine is equipped with a feeding conveyor and an empty frame rack. The conveyor is designed so that the frames from an uncapping Head are conveyed to the Extractor. The conveyor holds the same number of combs as the Extractor so the uncapping machine never needs to be stopped while loading and unloading the Extractor, thus any delay in uncapping time is eliminated. As the air cylinder feed mechanism pushes the full combs into the Extractor the empty combs are pushed onto the motorized empty frame rack. The empty frame rack is designed to hold the same number of frames as the Extractor. A 3-hp DC motor drives the Extractor with a positive advancing mechanism that is simple, yet rugged and dependable. The mechanism is so versatile; it can be adjusted by the beekeeper to obtain the best results based on the density of the honey being extracted. The drum is made of 14 gauge stainless steel. All internal parts are stainless steel. The honey outlet is a 6″ pipe. The lid is electrically operated with automatic stops. 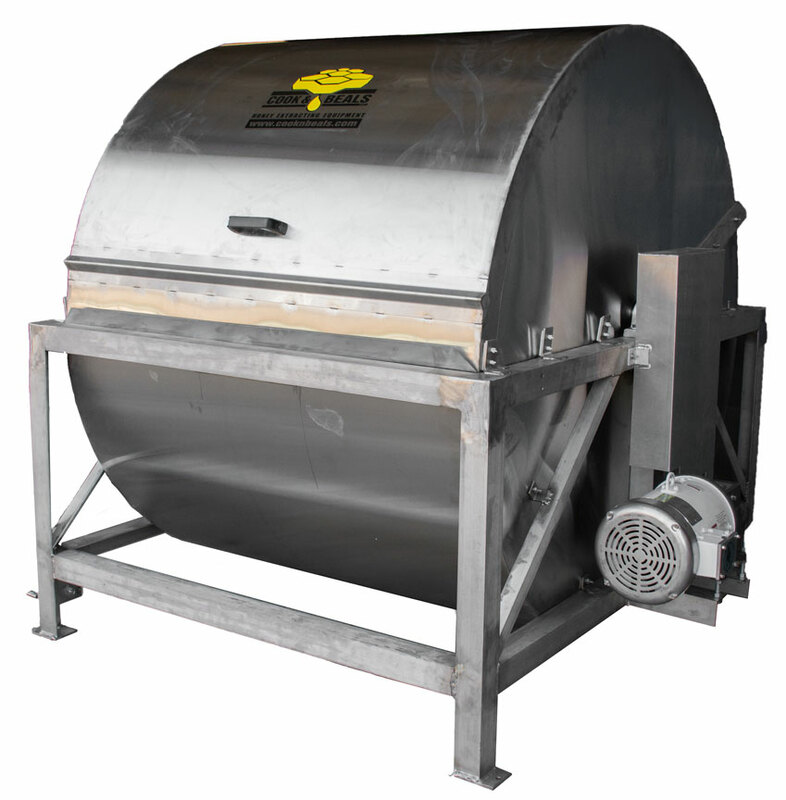 The Auto-Loader Extractor has been field-tested and has proven to be simple to operate, yet rugged enough to give years of trouble free service.